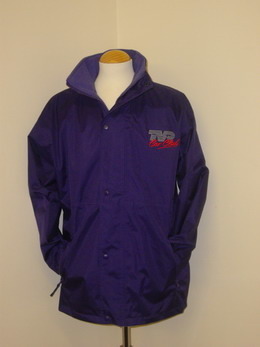 Non-pilling polyester populaire fleece, waterproof fabric. Adjustable hood, 2-way opening reversible zipper, concealed access for embroidery. Storm flap, double stitch seams, reflective 3M rectangle on polyester back, elasticated cuffs. Concealed access for print and embroidery.